The Milwaukee Bucks were simply looking to close out the regular season Wednesday night without getting anybody hurt. They accomplished that, playing without starters Giannis Antetokounmpo, Brook Lopez and Eric Bledsoe, falling to the Oklahoma City Thunder 127-116. Khris Middleton scored 21 points on 9 of 14 shooting in just 17 minutes. The Bucks will open the playoffs on Sunday against the Detroit Pistons, a team they swept, 4-0, during the regular season. Detroit wrapped up the 8-seed by knocking off the New York Knicks 115-89. Bucks guard Tim Frazier played all 48 minutes and finished with 29 points and 13 assists. Bonzie Colson had a career-high 21 points and 10 rebounds but isn’t eligible for the playoffs. D.J. Wilson had 18 points and 17 rebounds in 47 minutes. Russell Westbrook had a triple-double with 15 points, 17 assists and 11 rebounds. The Thunder are the number-six seed in the upcoming Western Conference playoffs. 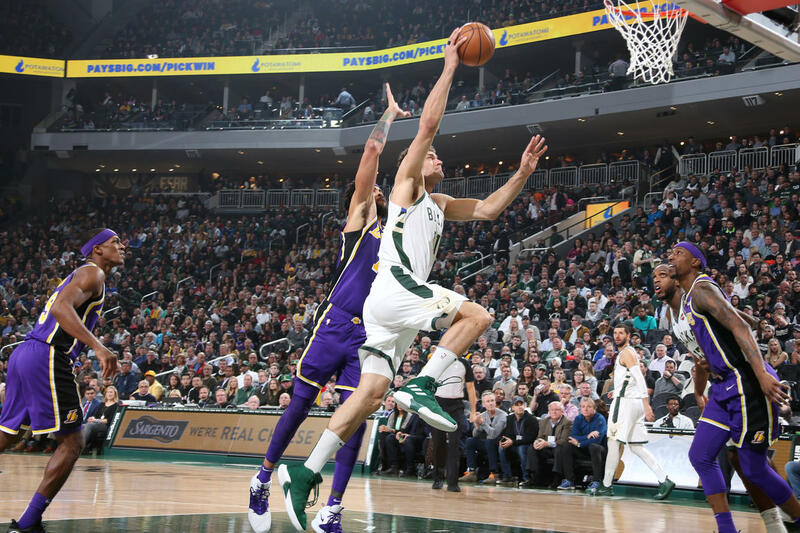 The Milwaukee Bucks played without starters Giannis Antetokounmpo, Khris Middleton and Eric Bledsoe on Sunday and fell to the Atlanta Hawks 136-135 in overtime. It meant the Bucks had just eight healthy players for the game, although Bledsoe could have played. Atlanta wasn’t much better. They had five players out with injury as well. The Milwaukee Bucks set their 15-man, regular season roster on Monday. Forward Christian Wood won the battle for the team’s final roster spot, holding off the challenges of Shabazz Muhammad, Tyler Zeller and Tim Frazier..
Wood averaged 13.5 points and 7.3 rebounds in nearly 20 minutes a game during the preseason. Wood shot 66.7% from the field, including 37.5% from three-point range (3 of 8) during the preseason. The Bucks will open the regular season on Wednesday night at Charlotte.